It’s the first week of December and we are happy to say that the Moonman has finally arrived! We’ve been waiting for a long time to share this special Christmas story with you, so we’re excited to say this imaginative, heartfelt adventure is now officially out! 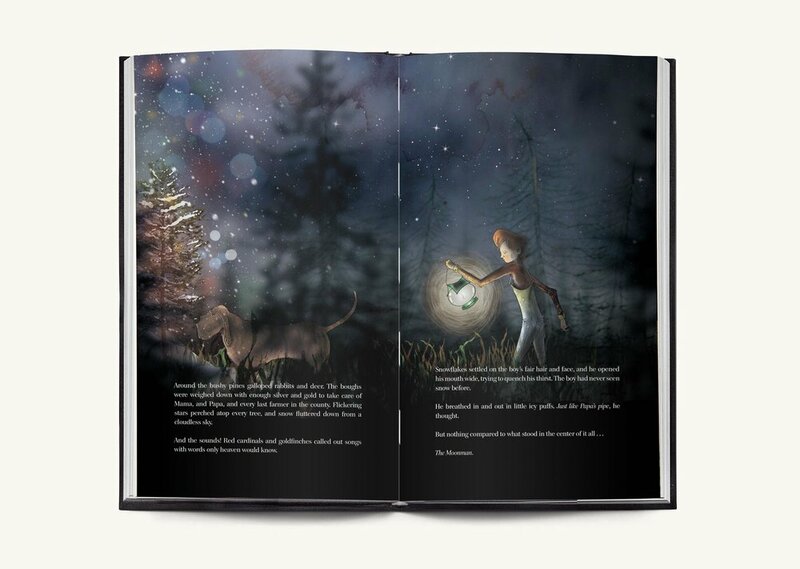 The Moonman Cometh is a children’s Christmas fantasy unlike any other, vividly told with rich illustrations and an engaging narrative. The book depicts the story of a boy and his dog as they seek to save their dying Christmas tree farm. Just when all hope seems lost, the boy has a fateful encounter with a mysterious being who brings him a gift greater than he could ever have imagined. This captivating tale provides a thoughtful way for parents and children to celebrate the redemptive power of who Jesus is and what he came to do. The book features accompanying discussion questions and Scripture reading to help you talk with your child about what Christmas is all about: the light of Christ bringing hope to the world.